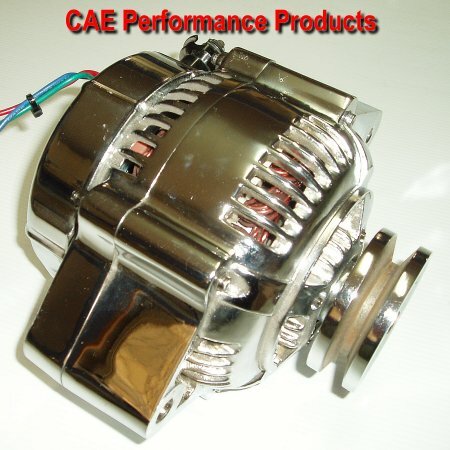 Chrome Nippon Denso Internal fan type - 80 Amp. Suits all Chev & Ford applications. Ideal for Street Rods and Race Cars where space is restricted. Available in Vee belt or Serpentine drive pulley.